„This is a possible moving cluster of seven stars, first suggested by Latyshev (1977). It was identified by considering the space motion of several nearby (GJ, or Gliese Catalogue) stars in this area. 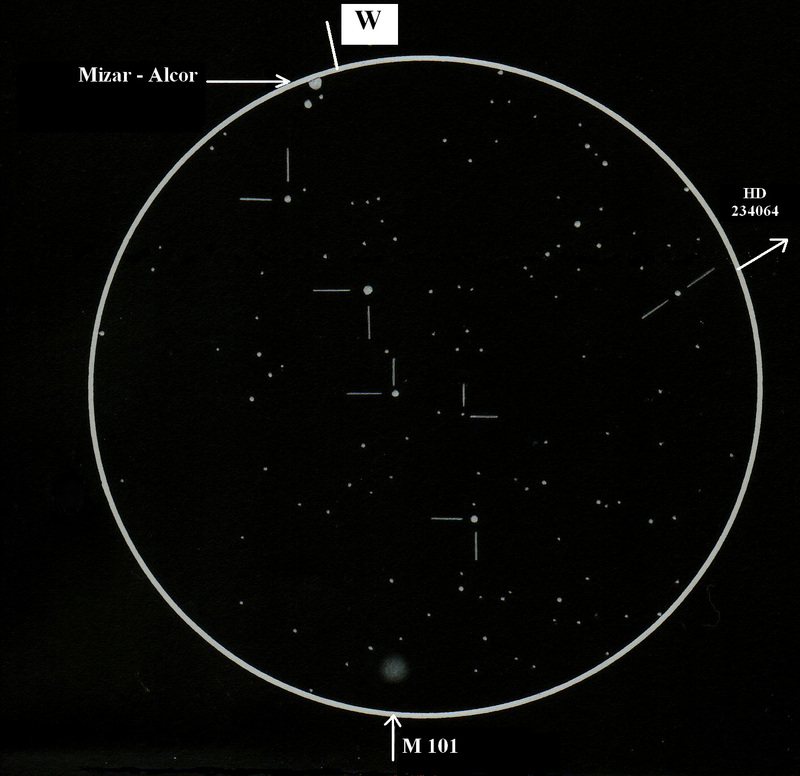 The stars cover an area of 3˚ by 3,5˚, including primarily the line of four bright stars between ζ UMa (Mizar and Alcor) and the galaxy M101. These are 81, 83, 84 and 86 UMa. The other 3 stars are HR 5169, HD 234064, and HD 234073. The magnitude range is from V = 4.66 (83 UMa) to V = 10.3 (HD 234073), summing to V = 3.67 and B = 4.05.